i am interested for investment in following infrastructure bond for 2012-2013 year. Proud of fellow Three Bears Design-er, Charlie Wagers, and the continuing solid work he’s doing for meuithoutYow.Again, friend, remember that list of bands we love who we’d love to do work for but never actually expected to be able to do work for? Pretty sure we’ve crossed every one off. Awesome pull Bret! Just curious- did you gain any weight leading up to the lift? I always gain extra edge with 5-10lbs of added “mass” before attempting an all out max lift…. son excelente compaÃ±ia tienen personalidad no como los perros sumisos, mi salem por citar a un gato particular muerde en lugar de dar uÃ±a, le fascina comer dulce, dormir con almuada y cobifita termica, es super jugueton y se sienta siempre en la puerta a esperar q yo llegue y si no le pones atencion se pone bravo y comienza a morder como un loquito perro el pantalon jajaja los gatos son hermosos y no por ser independientes requieren menos atencion q un sumiso perro agitador de cola. adios y hasta la proxima! This very blog is really educating and informative. I have chosen helluva interesting tips out of it. Iâ€™d love to return again soon. Thanks a bunch! what are the provision after sale of infrastructure bonds and proceeds amount from sale of infra. bonds taxable or not? since no tax benefit on infra bonds…who will buy them. their are other alternative for investment with the same interest without blocking your money for 5/10 years. Will you please guide, how can we take tax benefit from other options(than infra bond)? Pls tell what other alternative with tax bani fit after 100000/ savings is available. Put money in insurance ! For Tax benefits plus good good investment s.
Hi, I want to buy Infra bond for this year, can some one let me know if they are still exepmpted under 80C to get extra tax benefit of 20000? Is the infrastructure bond amount tax free(rebate) applicable for the cfy 2013-14 or not ? IS THERE TAX BENEFIT FOR YEAR 2013-14 ON INFRASTRUCTURE BOND ALSO ADVICE PREVAILING RATE OF INSTREST. 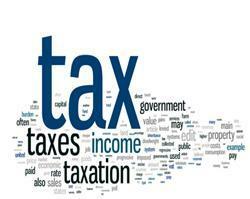 IS TAX BENEFIT FOR YEAR 2013-14 IN INFRASTRUCTURE BOND. ALSO ADVICE PREVAILING RATE OF INTREST. I would like to buy infrastructure bonds for 2015-2016.